Thank you all so much for all the kind words you have shared with my regarding my awesome weekend in Baltimore! Today is definitely a treat day – total rest! 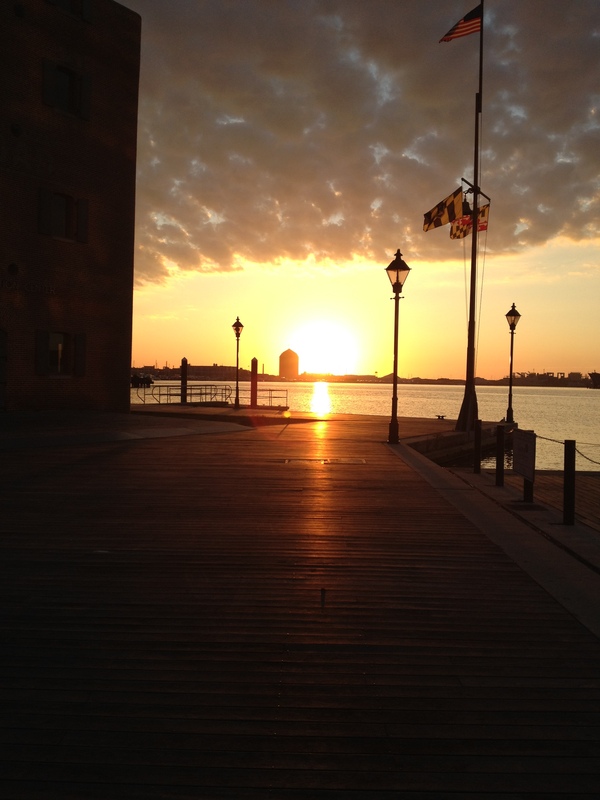 Well, as in, no running or working out 😉 The day after the marathon, we were still staying around the Inner Harbor, so I did a bit of a hobbly 2-mile recovery run right at sunrise….gorgeous! Yesterday, I started out my morning with 4 miles at an easy pace and tomorrow, I actually plan on heading back onto the treadmill! You see, it’s been broken for WEEKS but I saw someone on it yesterday, so I’ll take the opportunity to run some intervals before work. I have really loved running outdoors – despite the dark – but it’s definitely a challenge to get in the required speedwork! So, I am actually really looking forward to spending some time with that silly old machine…maybe that’s the key to enjoying indoor runs – take a long break then only run certain types of workouts on it? 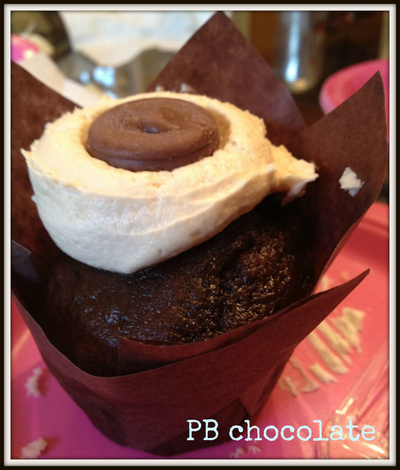 PB Chocolate Cupcake from Scratch Cupcakery, Cedar Falls, IA. And yes, speaking of treats…if you have not yet, I’d be SUPER DUPER GRATEFUL if you could pop over to this facebook contest and vote for my entry (CLICK HERE). This contest runs through 10/26 and the winner will receive Brooks shoes and apparel, along with some extra sweet treats to go along with it! I will definitely share if you vote for me 🙂 With my recent marathon PR in Brooks shoes + their slogan of “run happy” – I definitely feel like we’re a match made in running heaven! I can’t believe you are already up & running. You are amazing! that looks delicious! I love brownie and ice cream. Yum! OH I want that cupcake! That cupcake looks delicious! I am a big fan of cupcakes, but my favorite treat is always a brownie. Oh that cupcake looks fantastic! U def deserve the treat!! Enjoy the rest! Spa l0ve!! Tried to vote twice….did not work! Hopefully you will get enough votes anyway.